Here we have a stunning example of the very sought after Micra, good specification and in best colour, wine red with black interior, Bluetooth, Air conditioning, Electric windows, just had full service with 2 new tyres. Only £30 a year tax. This car comes with full book pack, has full service history, 2 keys and is in lovely condition. Compact and dependable, Nissan bills the Micra as the small car you can trust. With its nifty styling, punchy performance and compact dimensions, it thrives in the urban environment where narrow streets and tight parking spaces are the order of the day. 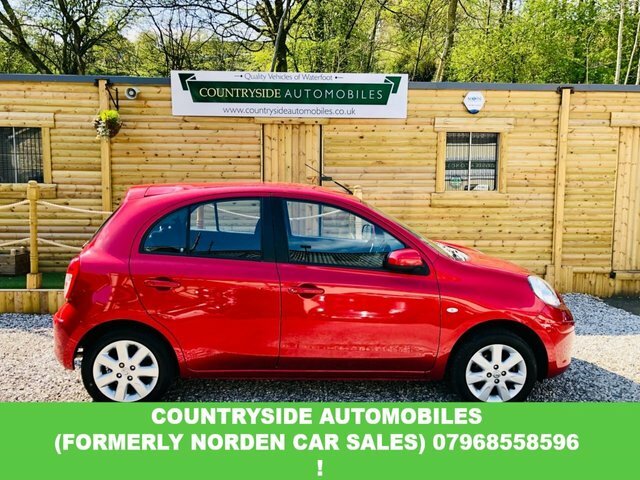 Why not test drive one of the used Nissan Micra models for sale in Waterfoot right now by contacting a member of the showroom team at Countryside Autos. You can view all of our latest offerings here on the website and then get in touch with any questions. Alternatively, head straight down to the forecourt and take a closer look at our full lineup of quality, affordable used cars in person.